DJI makes all kinds of techy video gear, like drones and stabilized video cameras. The company is back at it with the Osmo Pocket, a diminutive camera that actually does fit in your pocket. The little guy can shoot 4K video at 60 frames per second, and its sensor is stabilized on a gimbal for super smooth footage. 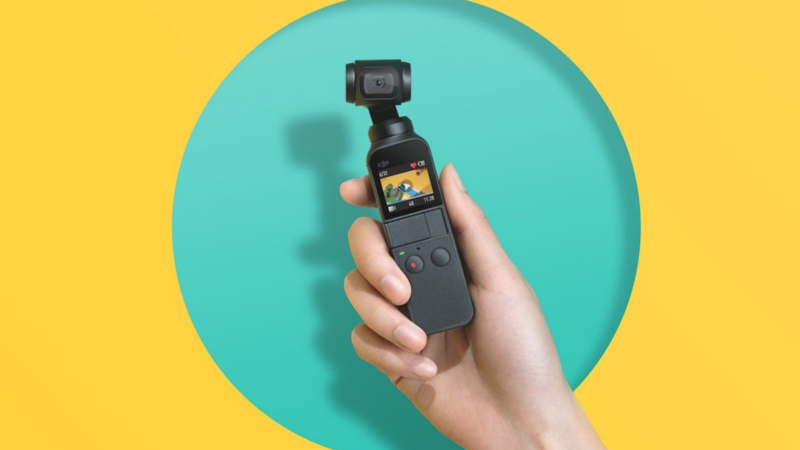 The Osmo Pocket comes with all kinds of nice-to-haves for a pocket camera, including a 1/2.3-inch sensor with 1.55μm pixels that should make for solid low-light performance, and a lens that affords it an 80-degree field of view. DJI says it's "the smallest 3-axis stabilized handheld camera" the company has ever made. That's a lot of qualifiers, but the thing truly is tiny, measuring 28.6 by 36.9 by 121.9 millimeters and weighing in at 116 grams. Meet Osmo Pocket, the smallest 3-axis stabilized handheld camera DJI has ever made. Small enough to fit in your pocket, powerful enough to share your best moments at any time, no matter where you are. There are tons of accoutrements available, too, like a $19 accessory mount, a $59 wireless module for connecting the camera to your phone, and a $59 controller wheel for manual control over the camera's built-in gimbal. Added to the Pocket's base price of $349, this is an investment that could add up quickly. You can pre-order yours now at DJI's website; units are expected to ship in 10 to 15 days.